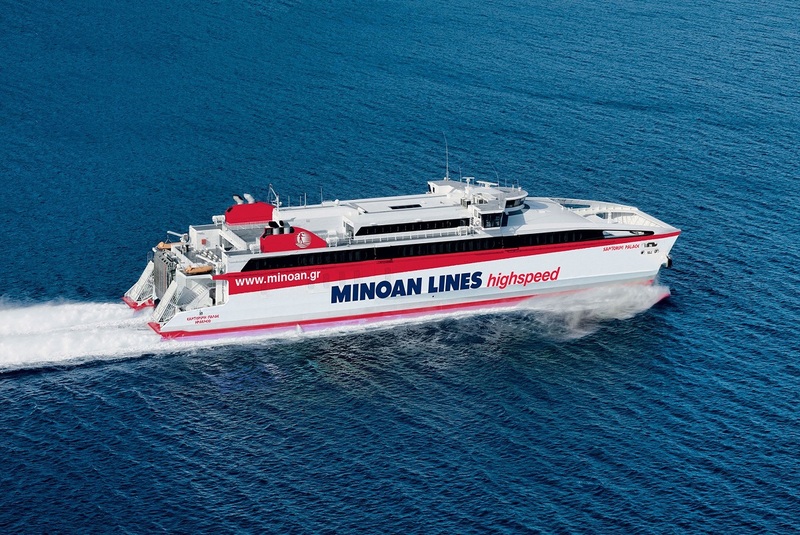 Passenger ferry company Minoan Lines will add an extra itinerary from Piraeus to the Cyclades islands and Heraklion (Crete) on Holy Tuesday, April 23, due to increased passenger traffic expected for the Greek Orthodox Easter holiday. The Santorini Palace is a 1,160-passenger ferry operates at a service speed of 38 knots and has a capacity for 38 crew members and 100 vehicles. It offers two levels of airplane-type seats, 104 first-class seats, five modern snack bars and a shop with accessories and travel items for shopping at sea. 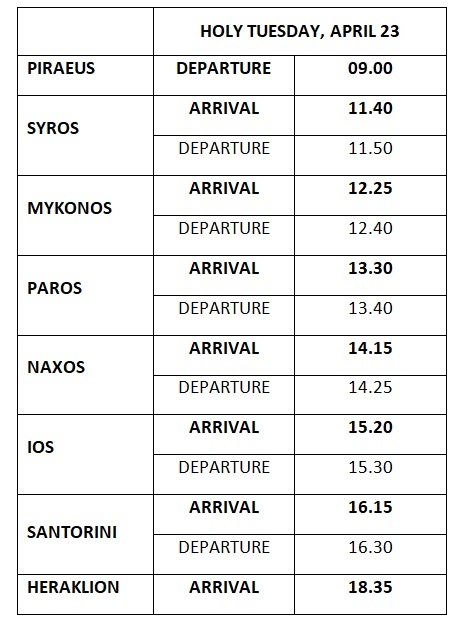 For further information, passengers are advised to contact Minoan Lines’ general sales agents on 801-11-75000 (landline) and 18175 (cell phone and landline), local port agencies or associated travel agencies.